The LG G6 launch date is February 26 in Barcelona, according to subtle hints in a newly issued invite to the company's MWC 2017 press conference. Okay, sure, this fireworks-filled invite actually spells out next month's date and even the time, but it doesn't exactly say it's for the LG G6. It doesn't have to. Here's what gives it all away: the invite's dimensions are 18:9 tall. That's clever. The confirmed LG G6 aspect ratio just happens to be 18:9, breaking rank with the normal 16:9 standard. The LG G6 is a shaping up to be a big change for the South Korean company. It's been teasing a wide 5.7-inch display that still maintains a compact body. The phone is also supposed to be waterproof and with dual-lens camera and have a reliable battery – a deserved jab at the Samsung Galaxy Note 7 recall. This Android Nougat phone may also be the first to use the more advanced and VR-capable Qualcomm Snapdragon 835 chipset with Quick Charge 4.0. Hopefully that means out with the inferior LG 360 VR and in with the Google Daydream View headset for mobile VR gaming and entertainment. 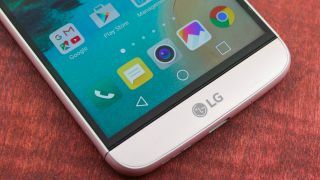 February 26 is going to be pivotal for LG's mobile division. It needs to rebound from the hardly modular LG G5. Now is the right time if the Galaxy S8 doesn't show up for Samsung's comeback story until April. We'll be on the ground in Barcelona for MWC 2017, so stay tuned for further LG G6 news and subscribe to our YouTube channel for hands on videos.